Shopping on the Internet requires users to choose the best passwords to protect their credit card information. A password protects your personal financial information and other personal data. 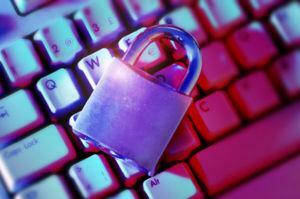 Choosing the best passwords can ensure that all of your online activities remain private. The password you create must be easy to remember, but not easy to guess. For example, you don't want to choose a password that contains your name or birth date, as these passwords will be the first an identity thief tries. Which Credit Card Company Offers the Best Security? The password you select should be easy to remember, so you don't have to write it down. Never keep a password for a credit card written on the back of the card or in your wallet. Use incomplete words in your password or abbreviations. If you use words that are found in the dictionary, it will be easy for a criminal to crack your password. Do not use personal information that belongs to you or other family members. Avoid using a street address, a pet's name, or any other information that may be easy for a thief to find. A password should be a minimum of 7 letters, numbers, and symbols. The longer the password, the more difficult it is to crack. Use a combination of letters and symbols, including upper and lower case letters. The more complicated the password, the harder it is to crack. Do not use obvious passwords such as "password" or your last name. Be wary of password generators or password programs. Remember that there are many criminals on the Internet and they may operate under the guise of a legitimate business. Avoid online password generators and opt for your computer's utilities program to help create a password. Many banks now use sign-in seals to protect their customer's financial information. A sign-in seal requires you to choose a picture that is familiar to you for signing in to your account. Every time you sign in, you should see this familiar picture before you enter a password. The sign-in seal is an added level of security to help people avoid phishing scams on the Internet. If you don't see the picture you've chosen to use with your password, then exit the suspect site. Now that you have chosen the best passwords possible, you want to be sure your accounts remain safe. One way to safeguard your passwords is to periodically change them. Changing your password periodically is a good idea, especially if you share your computer. Most online accounts allow you to change your password after you sign into an account. Before you change your password, be sure that you sign into your account from the company's home page. Phishing scams often request a user to change personal information by following a link from an email newsletter or official looking message. Always sign out of your accounts and close your web browser before walking away from a public computer. Clear the computer's cache file before leaving the computer. Never check a "Remember My Password" box on a public computer. Never save passwords on a public computer--even if it is a computer you are familiar with. Watch out for strangers looking over your shoulder at public computers. Choosing the best passwords for your computer will help you protect your identity and prevent fraud. Security precautions such as using a trusted computer, sign-in seals, and choosing confidential passwords will also help you safeguard confidential information.Keep in mind that you should change your passwords every few months, especially if you feel your information may have been compromised. If you think confidential financial information has been accessed without your consent, you will also want to contact your bank or credit card company immediately.